For many newly diagnosed patients, accepting help can be as difficult as accepting the diagnosis itself. According to some of the members of our Parkinson’s disease community, here are a few signs that you may be struggling with the idea of becoming someone who might need help. Have you found yourself feeling resentful when family, friends or strangers try to assist with something? 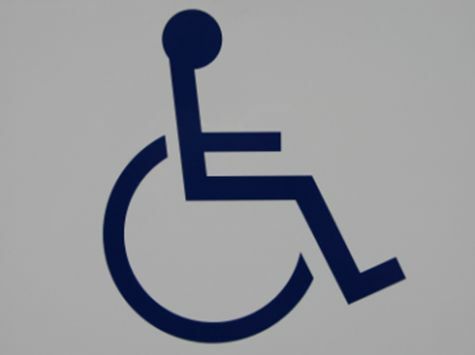 Have you resisted using a complimentary wheelchair (e.g., at the airport or on cruise ship) out of embarrassment? Have you worried that becoming someone who receives help is going to change your lifelong identity? If you answered “yes” to any of these questions, you are far from alone. Many PatientsLikeMe members report that learning to accept help gracefully is one of the most challenging aspects of chronic illness. And it’s not just allowing the help itself, per se, but seeing yourself in a new light, as one member puts it. It’s not unusual to take great pride in being a superman or superwoman, the type of handy, resourceful person who does it all and is always helping others in the family or community. This can be part of your self-image, as well as a source of self-esteem. So what do you do when you are suddenly the person being helped instead of the helper? It requires a psychological shift, according to our members, that involves letting go of ego and viewing the care and assistance you are receiving as a gift, not an insult. It also means communicating frequently and lovingly about the issue, so as to address “the elephant in the room.” If you can manage the task yourself, speak up and say so politely, advises one patient. Otherwise, practice saying “thank you” and “I love you” with gratitude, encourages another member. Ultimately, as our members state over and over, the best tools for coming to terms with the realities of your new life are a positive attitude, humor and support from others like you. Can you relate to this common hurdle? Join this insightful discussion in our forum or share your thoughts in the comments section. Being an independent person who did everything myself, it was very hard to ask for help. A sign of independence is allowing someone else to do the things you would normally do. There is nothing wrong with asking for help. You know what you need, but others don’t know. So tell them politely what you need. Letting others do it will save you energy that you can use for other things. Don’t give up, see if you can do it, and if you cannot let someone else help.